So I sometimes fancy myself a designer and when the desire strikes, I try and make something. 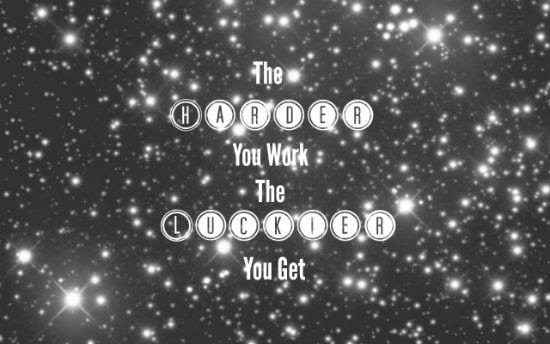 My latest creation is a desktop background that reminds me to always work hard; it's great to keep in mind at the start of the new year. Feel free to use it for personal use as well! Just right click to download the image and then set it as your wallpaper. What do you think of it? What sites do you use to get your wallpapers? LOML. How do you come up with ideas to post. They are always sooooo good.